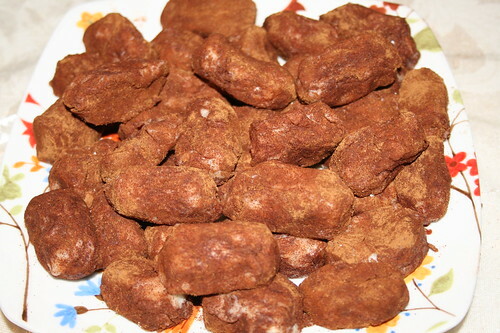 Irish Potato Candy, originally uploaded by DianthusMoon. Super easy to make-butter, confectioner’s sugar, coconut, vanilla and cream cheese. Roll in cinnamon and place in fridge to firm up. Very rich and sweet!